Gardener Website Design designed to succeed. Graham Jones is an experienced and established company servicing Manchester, and the NorthWest. We we're asked to update their website that was nearly 10 years old. It sat well in the rankings, produced good enquiries but needed to re-focus on new services without losing its current rank. 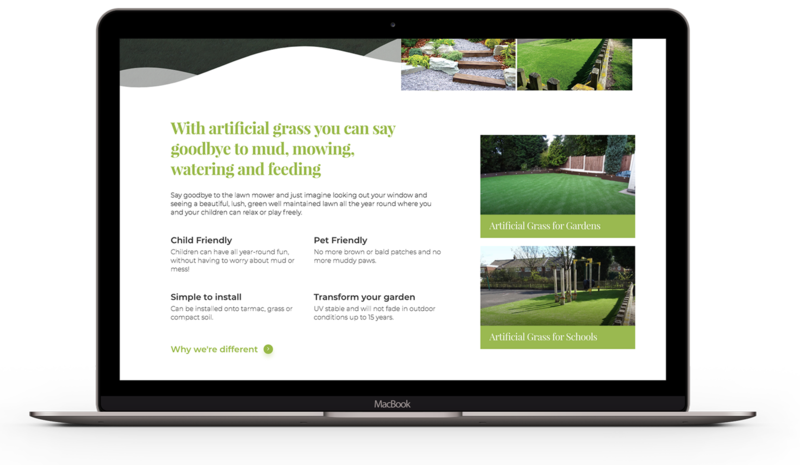 Taking advantage of one of our website design Manchester packages, the core focus of the new site was to target services for Artificial Grass for both domestic, and school, markets. Removing much of the old content for Garden Maintenance gave us the perfect opportunity to create an information-packed section for the new services. A new website design needs promoting to gain exposure. A brand new social media strategy will run alongside the new site, whilst the blog provides them with the perfect platform to document new projects, services or news.